First Hop Redundancy protocol comparison (HSRP,VRRP,GLBP) | CCIE, the beginning! Router role – 1 active router.- 1 standby router.- 1 or more listening routers. – 1 master router.- 1 or more backup routers. – 1 AVG (Active Virtual Gateway).- up to 4 AVF routers on the group (Active Virtual Forwarder) passing traffic.- up to 1024 virtual routers (GLBP groups) per physical interface. – Use virtual ip address. – Can use real router ip address, if not, the one with highest priority become master. – Use virtual ip address. Load-balancing functionality – Multiple HSRP group per interface/SVI/routed int. – Multiple VRRP group per interface/SVI/routed int. Load-balancing oriented- Weighted algorithm.- Host-dependent algorithm. Requires appropriate distribution of Virtual GW IP per Clients for optimal load-balancing. (generally through DHCP) Requires appropriate distribution of Virtual GW IP per Clients for optimal load-balancing. (generally through DHCP) Clients are transparently updated with virtual MAC according to load-balancing algorithm through ARP requesting a unique virtual gateway. * If the group VRRP Virtual IP on the master (higher priority) is the real IP configured on a different VRRP (Backup with lower priority) IOS will manage to make the VRRP router with the real IP, the master, by setting its priority to 255, knowing that the configurable range is [1-254]. Pingback: VRRP and Load Sharing « CCIE, the beginning! Nice work buddy! I’m adding you on my favorite links. Pingback: GLBP (Gateway Load Balancing Protocol) « CCIE, the beginning! GLBP is a Cisco proprietary protocol, which is not supported by Huawei, VRRP is standard protocol rfc3768, so for a mixed environments, configure VRRP with BFD for faster failure detection, you can also tune VRRP timer accordingly. Note the advanced VRRP timer design, namely skew timer, which gives the Backup router with the highest priority (lowest skew value) better chance to take over the master mode. I understand from configuration that you have made R3 as primary with priority of 200.So, it will act as AVG & R2 will act as standby AVG with default priority of 100. 2.In this scenario R3 is primary.But how will the load balance take place? to v-mac of R2 & rest 30% to v-mac of R4? Does this mean that AVG in this case won’t forward any traffic by itself; i mean it won’t act as AVF? Hi Ravi, what configuration are you referring to? I am referring to GLBP configuration. – I believe the local proportion is relative to AVG value, weight of 30 is ~42% of weight of 70. For example, if configure this command only on the AVG, and this last goes down, the standby AVG (next highest priority gateway) will fall back and dictate round-robin to all AVFs. – In addition to The AVG role of a dispatcher (treat ARP requests and allocate gateways according to the LB algorithm) the AVG will consider itself as an AVF and forward traffic too. In VRRP normally the first criterium to select the master router is the IP of the VRRP group. If one of the routers uses this IP on an interface where the GLBP group is configured on, it will be the master of the group. Priority or highest IP won’t be taken into account. Right? The 1st criterion looked up is the priority, otherwise the unicity of the IP addresses will make the difference. You are absolutely right and thank you for insisting to point it out. Indeed, it would be logically inconsistent to have the same IP address in different devices, the virtual VRRP gateway and the Gateway in which the real ip is configured. 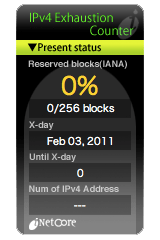 But this is ONLY the case when a real IP address is used as virtual IP. There is a minor error where Traffic type for VRRP is mentioned in the article, it doesn’t use UDP 112 but IP Protocol number 112. Indeed Bilal, I corrected it. Thank you, I appreciate your contribution. I was thinking if VRF lite can be used for VRRP as well….Your blog is very informative, I have added your blog to blogroll.